Just got mine in the mail yesterday. Although it is my second one from these guys, I am again in total amazement of the quality, and speedy shipping. Going on tomorrow and I will post pics. Best mod hands down. 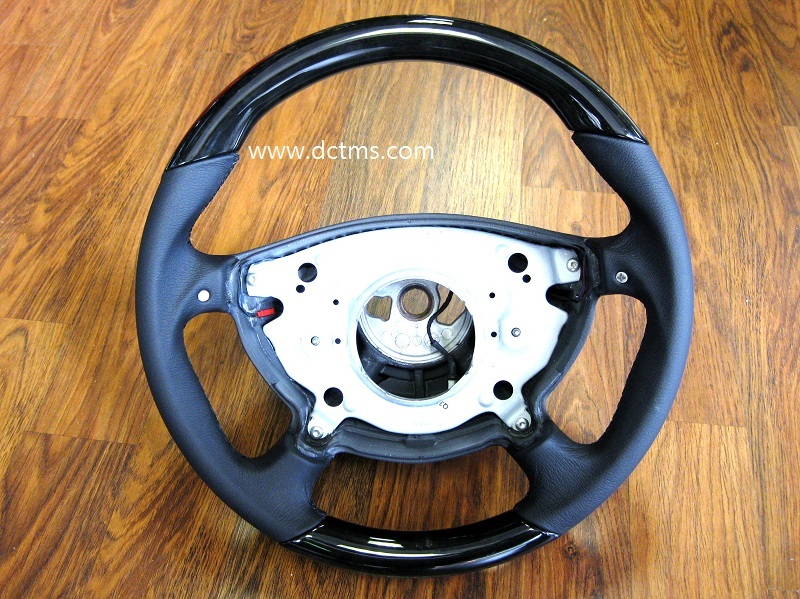 You want a E55 wheel like this? will give you a call soon. 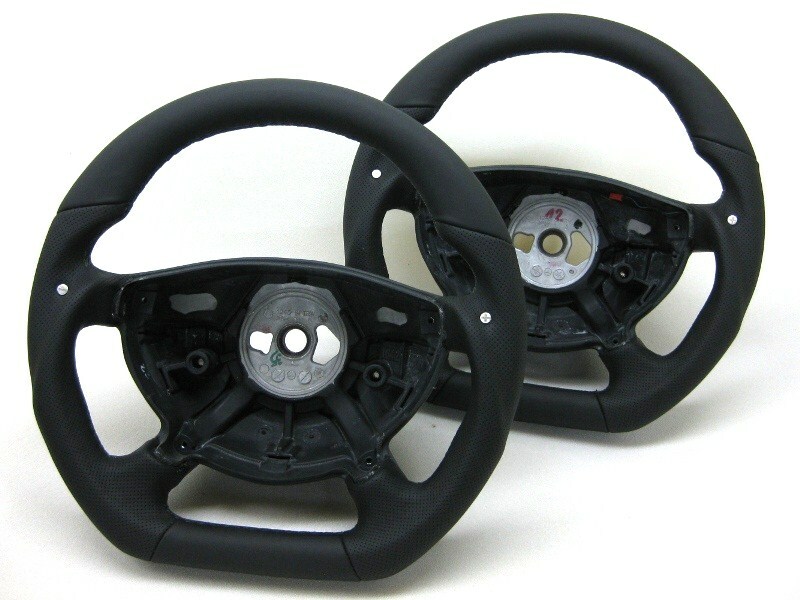 Do you offer a wheel with real paddle shifters ? Sort of like a modified e63 wheel ? For E55, not anymore, doesn't look good! Have one of this ready to ship! Sorry for this stupid question, but do I take it to the dealer for install? Since it involves an airbag, that is why I am asking. I very much want one, but just do not know who to take it to for the swap/install. Of course you can bring the steering wheel to dealer for installation. 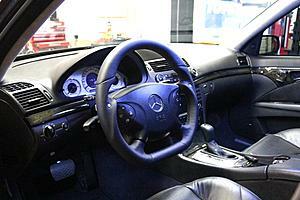 Other options are Mercedes specialist/garage with the diagnostic computer which can reset your car when needed! 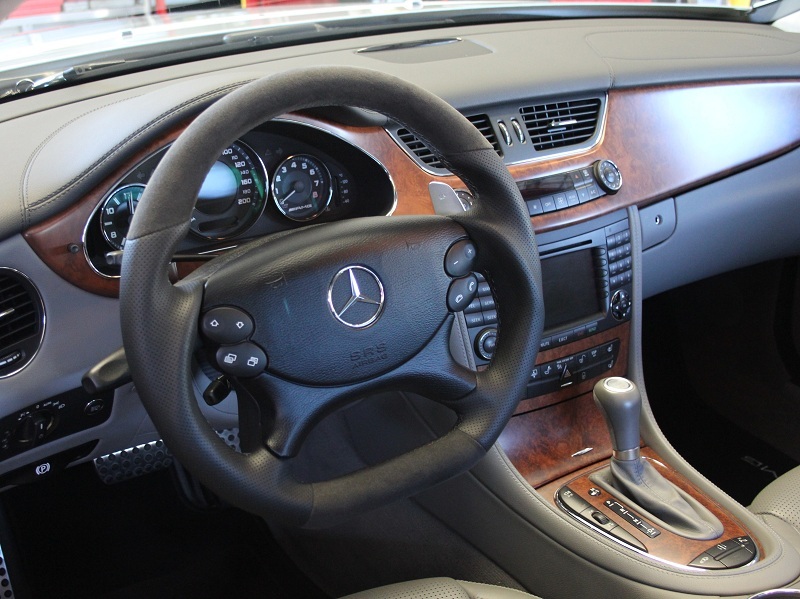 For us, install an E55 steering wheel is an one hour job, dealer may charge more! 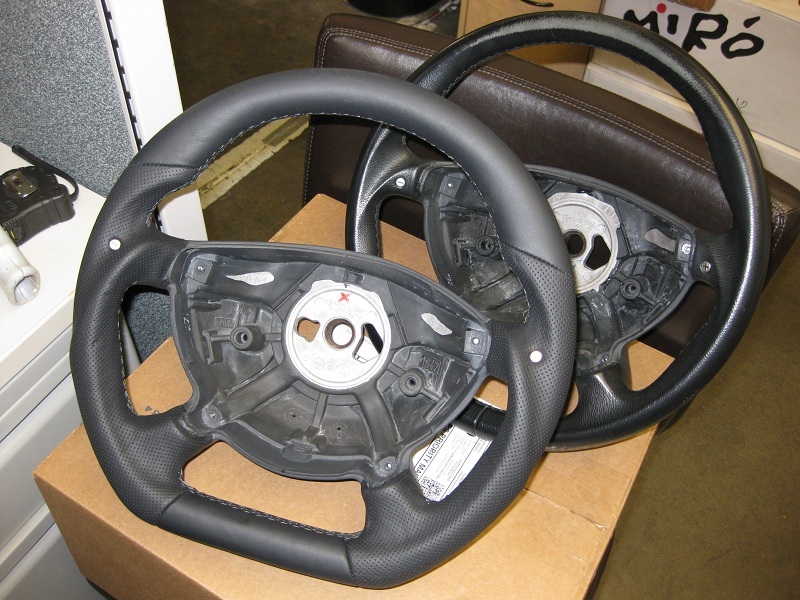 Contact us to get this nice wheels, item in stock, can be shipped on Monday! 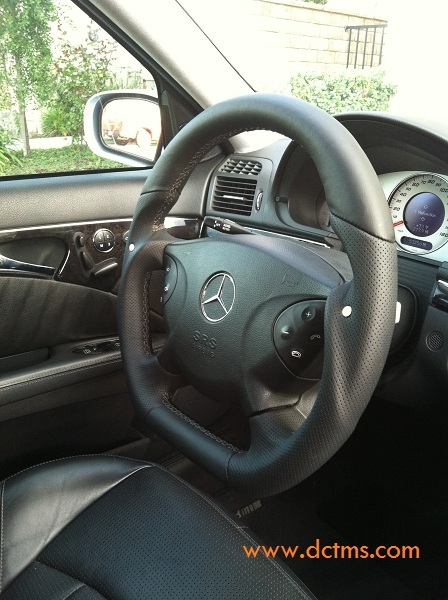 1) do you already have shifting buttons in the back? 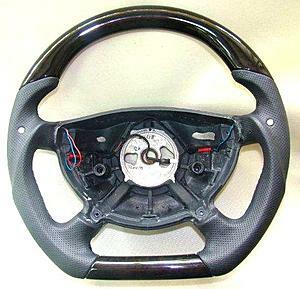 2) your shifting buttons work as up and down each sides or up on the right and down from the left?